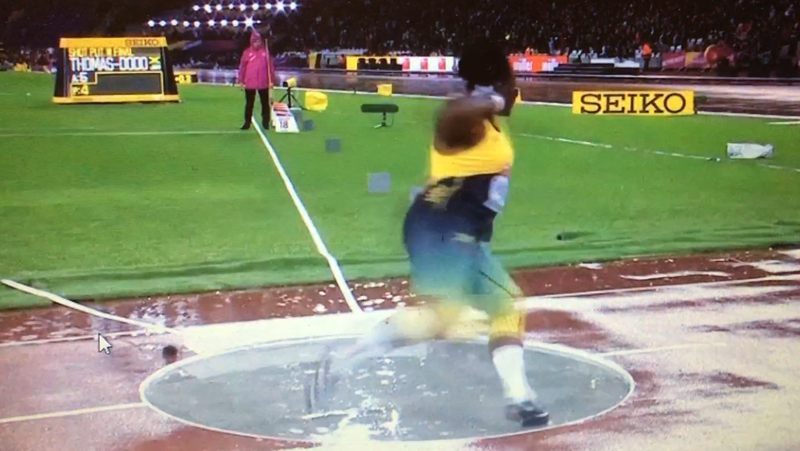 After what has been, by his standards, a disappointing season Ryan Whiting unveiled a new static start this weekend and used it to produce an excellent 21.68m toss. After Ryan posted a vid of that throw on Twitter, I asked him to comment on his reasons for the switch to his new approach. Jordan Clarke recommended it to me in July. 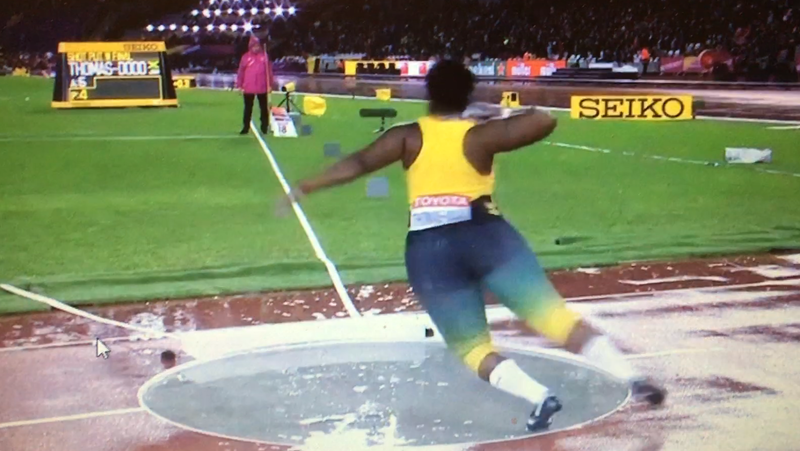 My ankle was really bothering me and I couldn’t get out and around my left on my entry. Our reasoning was to eliminate one variable (the wind) and be able to work on a consistent entry which enables me to get into a more consistent power position. Once I do that I know how to finish a throw. Today my conversion from stand to full was 4.18m. Once I get used to finishing with the new start, I think that will increase quite a bit. A little over a month of work on the new start and 21.68m, A good sign. As you can see, he used to turn about as far to the right as he possibly could with most of his weight shifted to the right foot. As a high school coach, I am a big fan of Ryan’s new approach. For young throwers in the rotational shot and the discus a static entry provides less opportunity for the athlete to lose his or her way when coming out of the back of the ring. 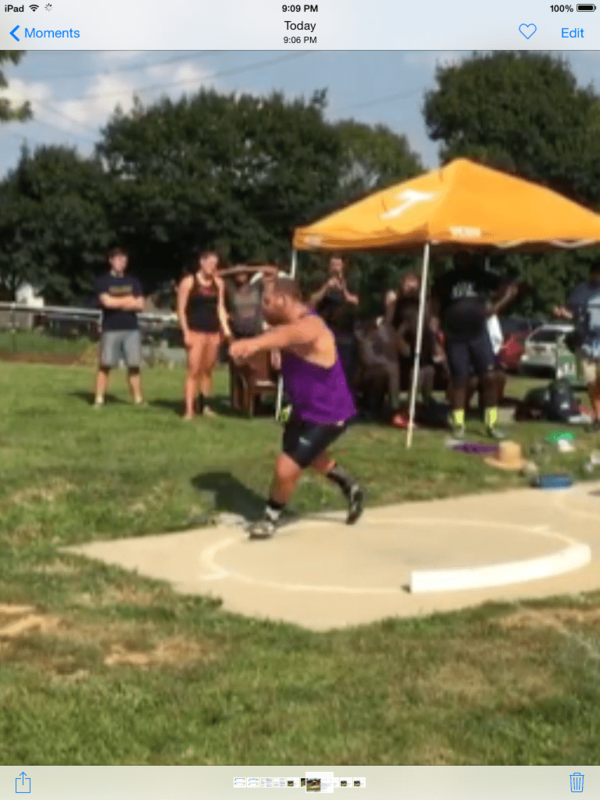 Young throwers often feel like they are creating force when they do an extended wind, but as Ryan pointed out the key to producing long throws is a consistent entry leading to a consistent power position. If you don’t already follow Ryan on Twitter, you might want to do that as he is likely to comment further on his switch to the static start. 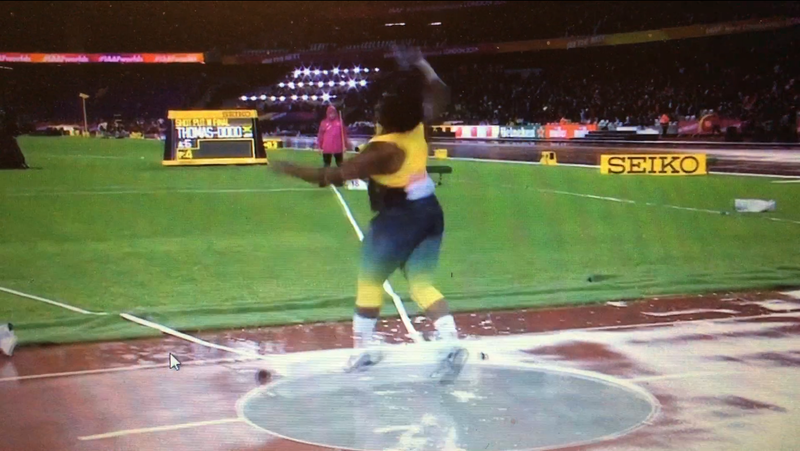 Bobby Grace raised a few eyebrows (mine included) when he bombed a 20.51m toss out of the first flight of the US Championship men’s shot on Sunday. 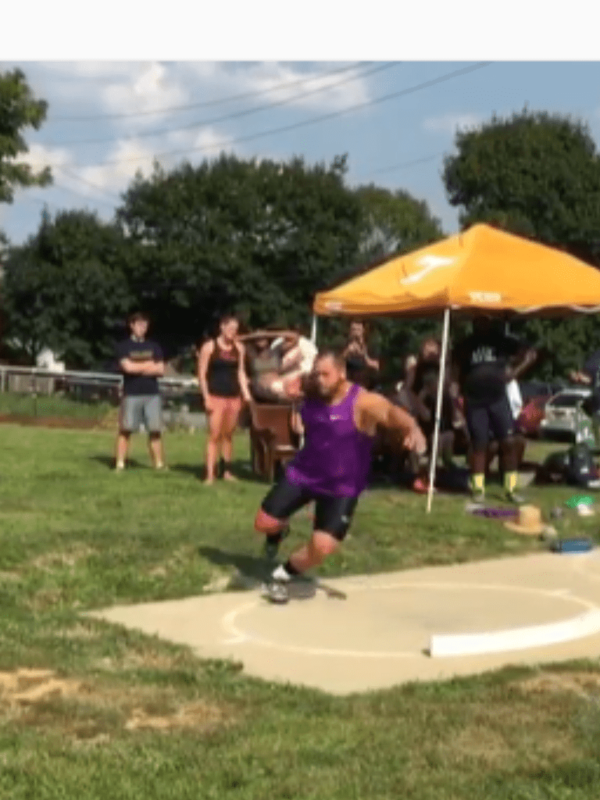 As soon as the competition ended (Bobby’s throw held up for 8th place) I set about tracking him down. It turns out that Bobby, a graduate of Youngstown State, is both a fine shot putter and a very articulate young man. The following is an interview I conducted with him yesterday via email. Thanks for agreeing to an interview. Let’s jump in. 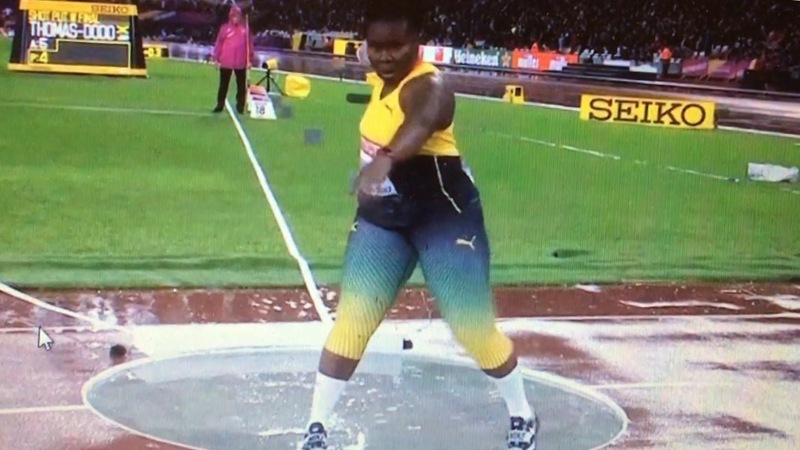 As someone who coaches throwers, I want to personally thank you for providing a left-handed role model! I’ve been coaching for 25 years, and I can tell you that excellent lefty throwers are a rare commodity. 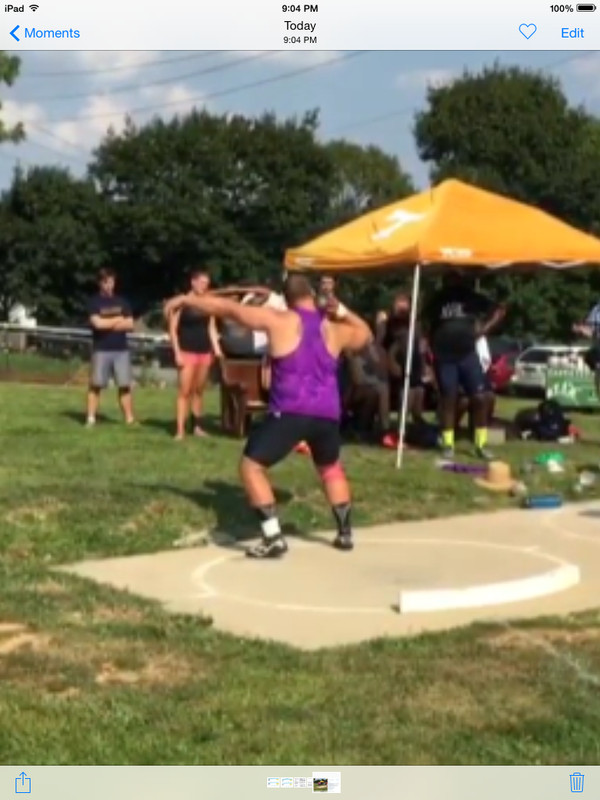 Do you ever feel self-conscious being the only left-handed thrower at meets? 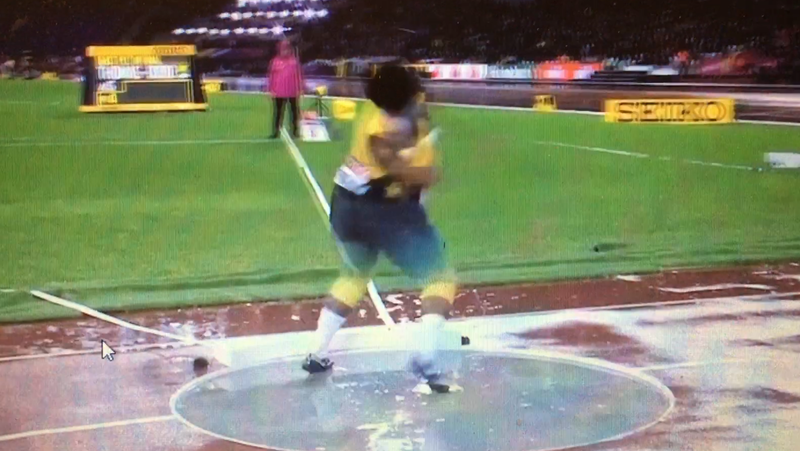 And was learning technique from (I assume) right-handed coaches while watching film of right-handed throwers difficult? Thanks Dan, I appreciate that. 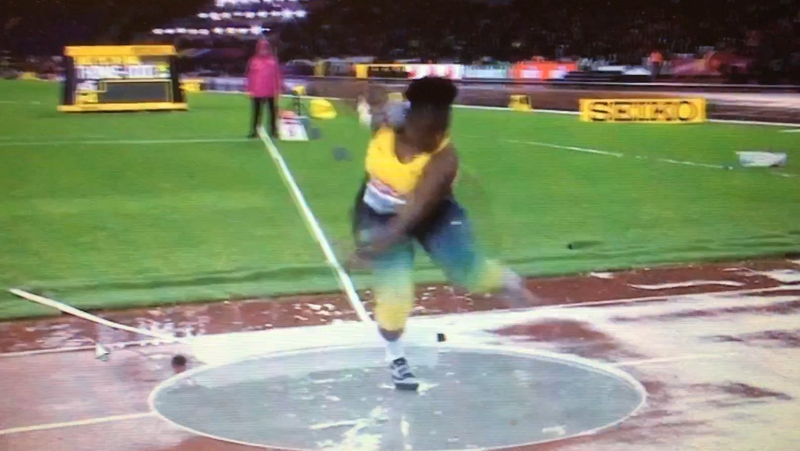 No, I’m never self-conscious going to meets being a left-handed thrower. To be honest, until the end of my collegiate career I didn’t realize that I was the only lefty in finals most of the time. 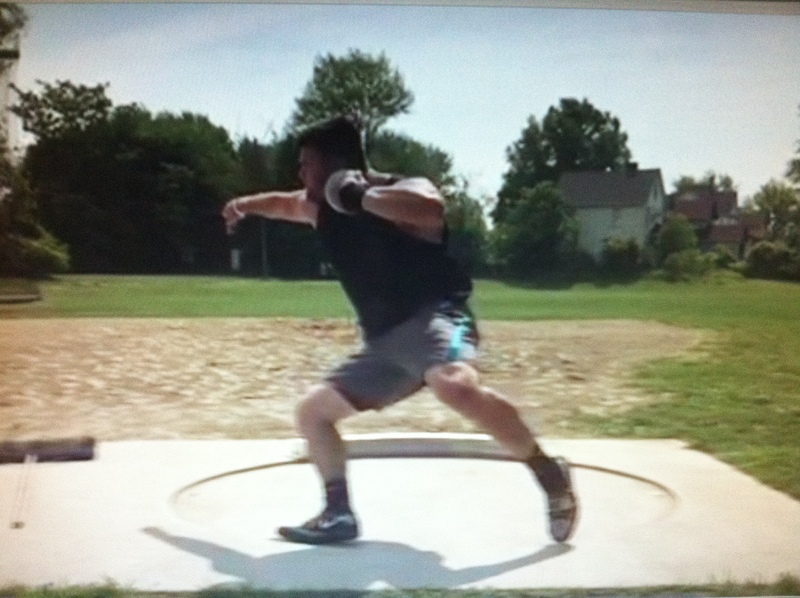 As far as coaching goes, I’ve always been coached exactly as a right-handed thrower. My coach in high school would give me technical advice as a righty; and I had to learn to translate that to lefty. So now I just hear everything right-handed and it processes lefty. As far as video I’m the same way. 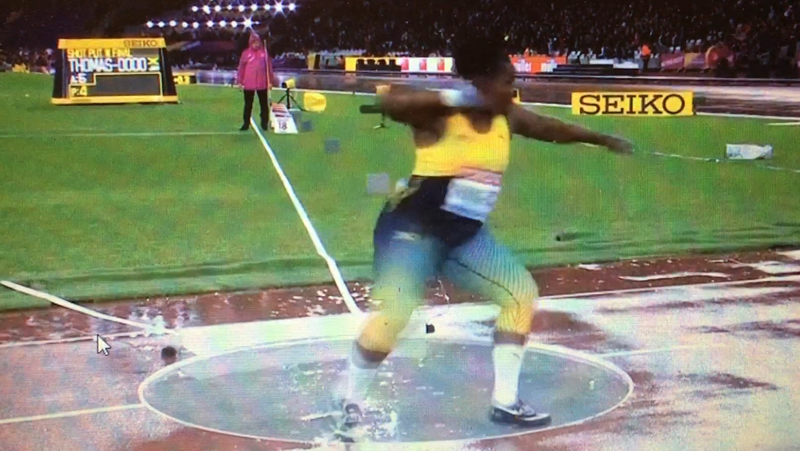 I actually prefer to watch right handed throwers and break down technique. It feels more natural at this point to translate righty to lefty. 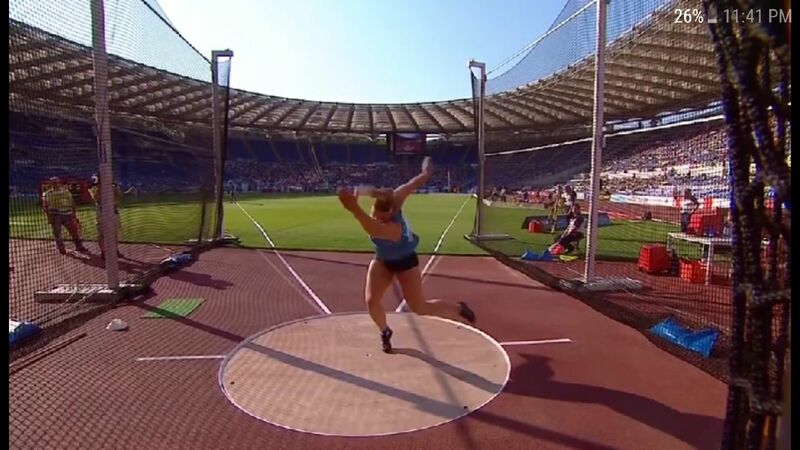 The German discus coach Torsten Schmidt told me that it is important to have your throwers take regular left-handed throws because they have to really think about what they are doing, and this helps ingrain their technique. I wonder if the process of translating everything righty to lefty has had a beneficial effect on your technique? I would agree with that most definitely. I think that all of the constant translation from right to left has given me a good mental picture of what my technique should feel like. I also think that has helped me to self-diagnose technical issues on a day-to-day basis so that I can keep focusing on big picture issues that I am trying to work on. 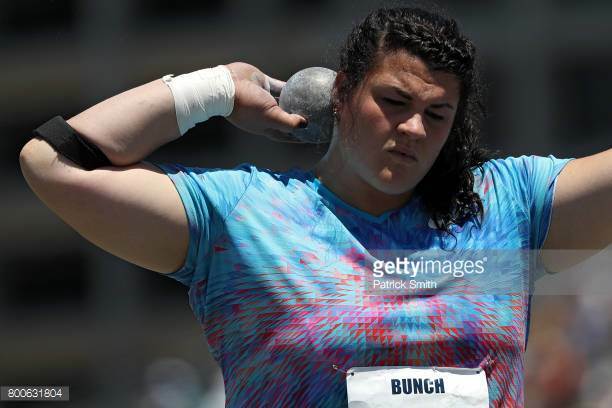 I am a throws obsessive, but to be honest when I saw your 20.51m pop up on the flash results page, my first thought was “Who in the bleep is that?” Can you tell us a bit about where you came from, how you got into the sport, how you ended up at Youngstown? I’m assuming most people thought the same thing you did. 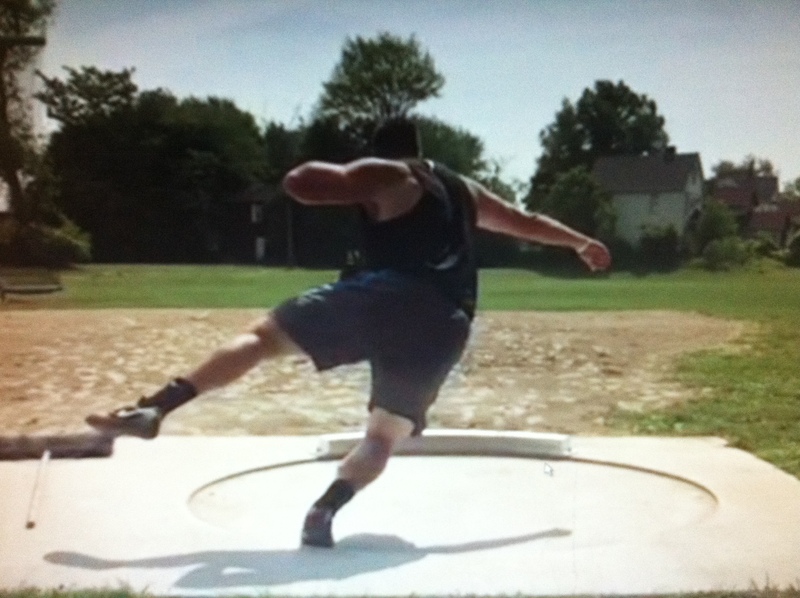 I’m originally from Cleveland, Ohio and I started throwing in 8th grade. I was very much a late bloomer physically and finished with a best of 57ft in high school. I had a few smaller schools recruiting me out of high school but I knew I wanted to compete against the best. I chose Youngstown State which was my biggest offer at that point. I lucked into getting three great coaches (Brian Sklenar, Willie Danzer for all of my programming and Brent Shelby for all of my technical work). Can you tell us about your progression while at Youngstown? 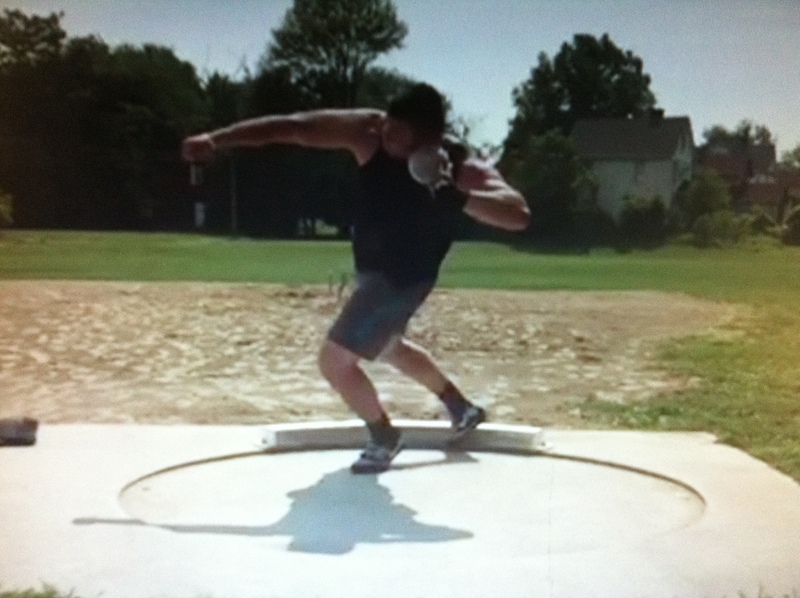 The decision to stick with throwing after I graduated was relatively easy for me. Aside from figuring out obvious money/living situations, I knew I was going to throw. I’ve always known that my progression would be a long-term process. I just need to keep working hard and that takes time. I also have an extremely supportive family and coaches that encourage me to chase my dream. Can you describe your current situation? Where you live, how you support yourself, where and with whom you train? I currently still train at YSU. I work part time at a consulting company to help pay some of my living expenses. I typically throw by myself or with a few of the collegiate guys and work with my coach Brian Sklenar on an everyday basis. Periodically I will go to Ashland and throw with Kurt Roberts which has been a huge help this year as well. I usually don’t have to think of much out of the back. That is easily the most natural part of the throw for me. Occasionally if my legs are tired and I am moving somewhat sluggish I may think about activating my left foot toward the middle more. But to answer your question about any cues I use for entry, most of my issues out of the back are upper body. 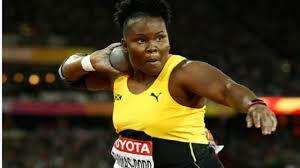 I think about keeping my right arm passive out of the back and keeping my shoulders level through the entire throw. How about here? Can you tell us about your left leg sweep? 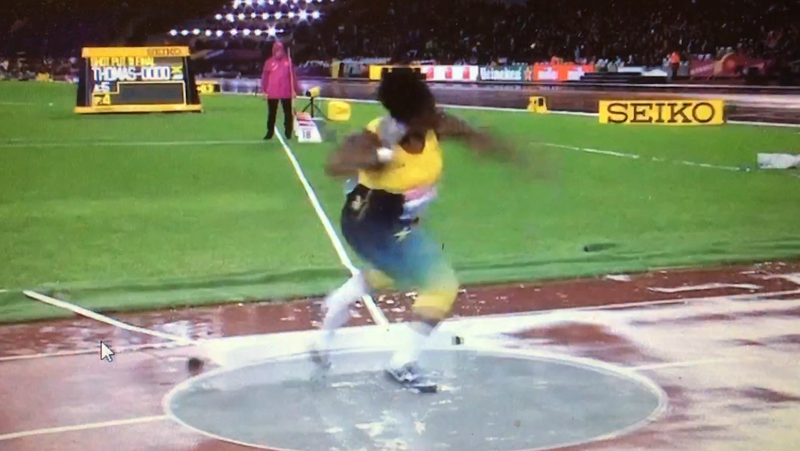 And at what point do you try to get your right foot out of the back? Sorry to press you on all these details, but the people who read these interviews like to know how the sausage is made. No problem at all. 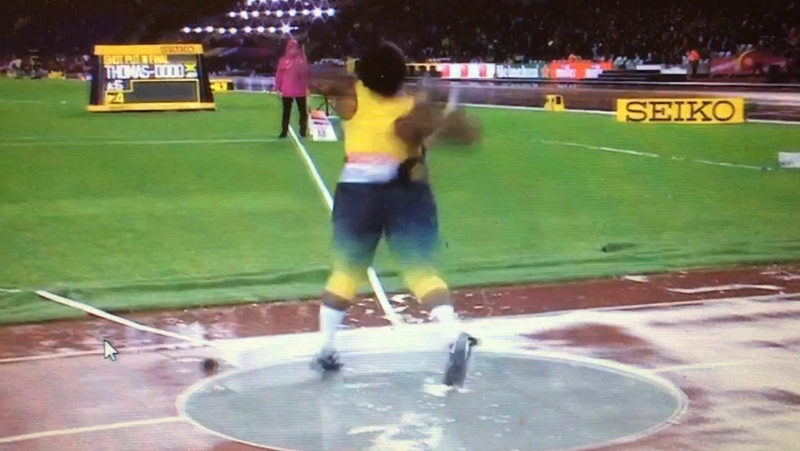 So this part of the throw is one of the bigger issues I concentrate on. As you can see in the picture, my left foot is somewhat high off of the ground. I am constantly working on trying to keep both of my feet as close to the ground as possible so that I can get that left foot down in the middle and start turning through the ball. My hip level usually goes hand in hand with how high my feet are off the ground. 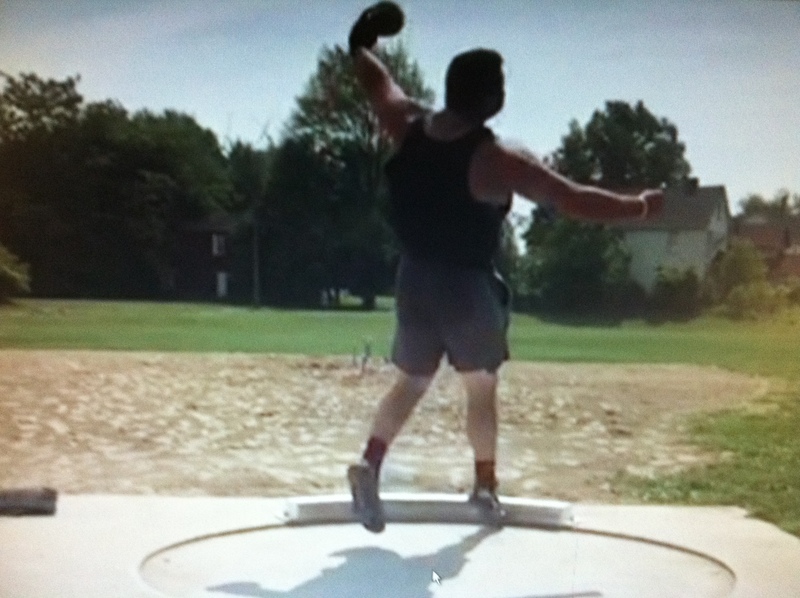 Basically, when I get tall through the throw good things don’t happen. When I can keep my hip level down and work my feet the throw lines up. As far as thinking about getting my right foot out of the back, I never think of both getting the right foot out and the left foot sweeping at the same time. Depending on how a particular day is going I will think of one or the other, for me that is just too many things/issues to try and work on during one throw. Absolutely. But is there a cue that you use, like…there is that big yellow house out beyond your landing area. Do you ever think something like, “I want my right foot off the ground while my chest is facing the yellow house”? No I don’t really have any cues that work off of landmarks. Mostly all by feel so that I can self correct and feel what I am doing through the throw. 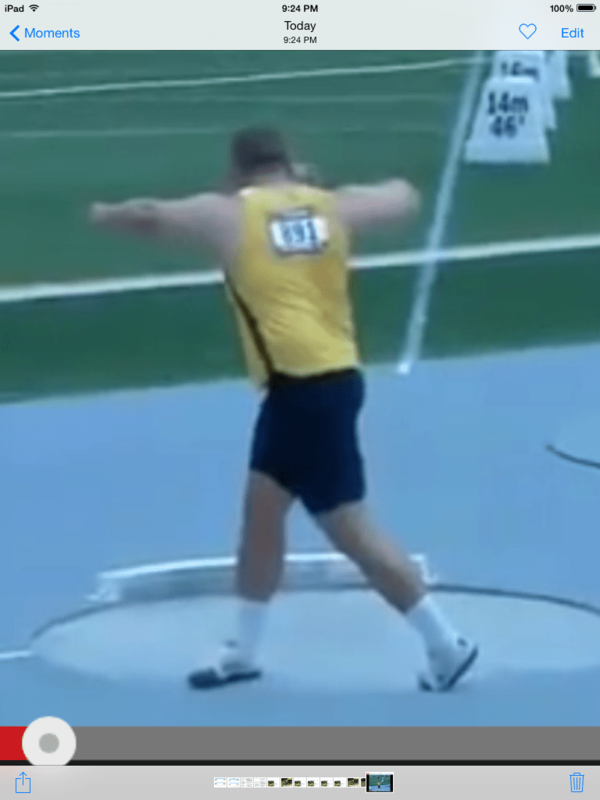 Typically, I find that if my right leg is hanging in the back too long, it is a result of my left leg not being active enough from the start. So, my cue for getting my right leg out of the back would then work backwards and become “OK, I need to be more active with my left leg” and I would work through that particular issue that way. Almost done! Looks like you are in great shape here. Your feet are down and you are wrapped. What’s next? So here I would like to be a little more upright in the shoulders and also give myself a bit wider of a base with my feet. The finish is the area of the throw where I feel I have the most to work on. I still have a pretty big pull away with my right shoulder and my block could get substantially longer. If I can consistently correct those issues at the finish and stay longer on the ball, I will be a much more consistent 20.50+m thrower. So you feel like you have pulled away a little prematurely here? And you anticipated one of my final questions. What do you have to do to get to the level that Jordan Clarke just reached? Also, what does the rest of the summer look like? Yes, this throw is one of my better ones with the pull-away but could definitely keep getting better, and is very visible in the picture. One of the major things I need to do to reach that 21+m level is get bigger. I’m currently about 265 lbs and need to get that closer to 285-295 lb range, which will help a lot of things. 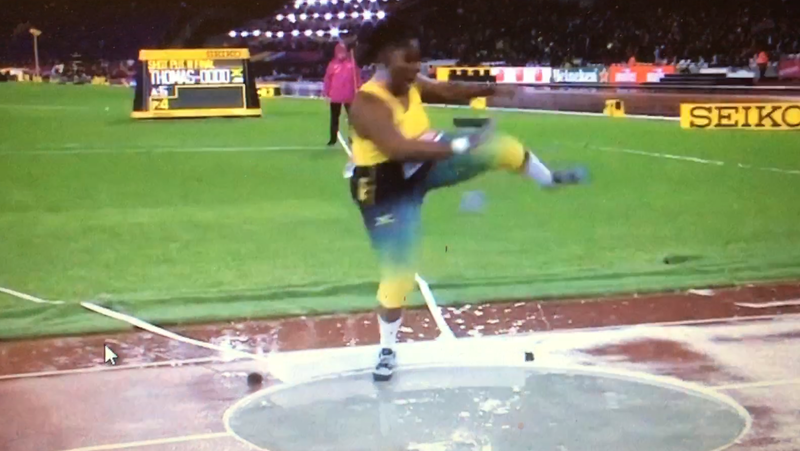 As far as technique goes, I am planning to concentrate on all of the key points I told you about so far, along with getting more throws under my belt. The more special strength I can accumulate, the better. I am not sure what the rest of the summer holds for me. As of now I believe I am an alternate for NACAC and Pan Ams. Currently, nothing is set in stone in terms of scheduling.